The EA Star Wars games have been fun, though there are problems with how they play. To me, it doesn’t feel like Battlefront. It feels like a Plants vs Zombies: Garden Warfare clone in a Star Wars skin. Funny, when you think Battlefront was a Battlefield reskin, but at least that actually worked. The thing I most dislike about the Garden Warfare feel is how the secondary weapons and abilities are handled. Rather than just offer a simple fix for it, I’ll be giving it a bit of a full change from how the entire system is handled in Battlefront 2. In fact, I’ll be using Battlefront 2 as a base to build all these ideas from. Star cards are currently bound to the shoulder buttons, with one or both being pressed to activate an equipped weapon or ability. The main weapon is separate from the cards, being on the shoulder triggers, with the right to fire and left to focus aim. With Battlefront 2, every unit has three weapons or abilities as a basic loadout, but star cards can be used to change or upgrade it. With the system I propose, the loadout is still visible on the HUD, but you’d cycle through them using the left shoulder button and use them with the left trigger. 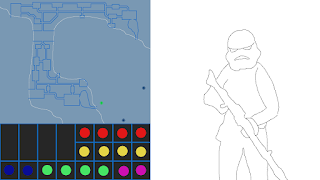 The main weapon would remain on the right trigger, but the focus aim/zoom toggle would be placed on the right stick button – with the melee attack being placed on the right shoulder button. As seen in the image below, the HUD would also have the health and stamina bars visible at all times. With customising the loadout, you’d still only have three cards to work with, but as well as upgrading the three basic options, there would be a few extra things they allow. One of which would allow the use of a melee weapon instead of attacking by using the main weapon as a club. With a melee weapon card active, the melee attack button becomes a main weapon toggle so you can swap between gun and close-quarters weapon, with the melee weapons offering a higher damage output than the gun-club. Other additional cards would improve health, capture speed, and stamina. Additional health is a simple one and one already within the game. Capture speed would be useful to decrease the time waiting while hacking into a system or while within a capture point. Stamina would increase run speed and shorten the time between combat rolls. The cards would not be upgradable, but can be stacked to increase the effects. Special units would fit under the same system. Aerial troopers would see a bit of a difference to how they handle. 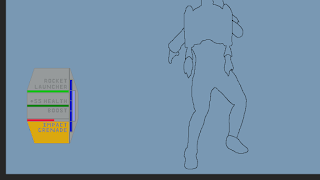 Currently, two of their loadout slots are occupied by jetpack commands. 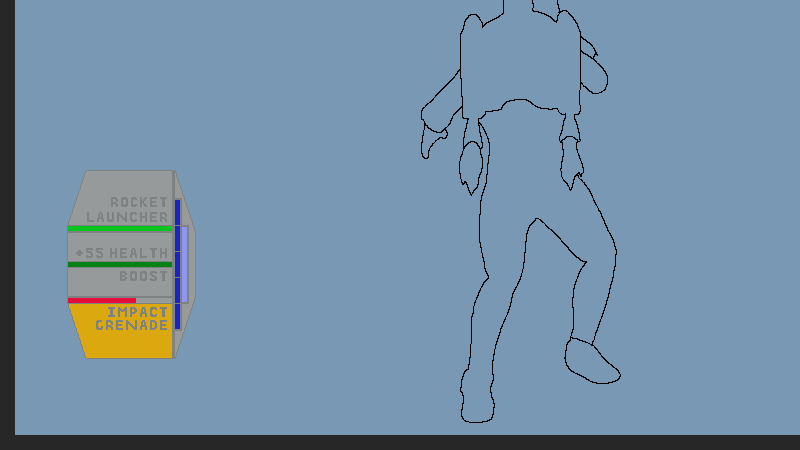 Jetpack Boost and Jetpack Dash. Whereas other troopers would have a jump and a combat roll, an aerial trooper would instead have the boost and dash replacing those actions. The boost also wouldn’t be just a high jump with no control, but a full control of where you go – at least until the fuel ran out. The same would apply with dash except with horizontal movement. This scheme would also be in use for heroes with a jetpack such as Boba Fett. A hero would have more fuel than a regular trooper, but both would have a card to increase the amount they can use before a recharge. Lightsaber heroes already have a melee weapon as their main, with the right trigger being to attack. A more powerful attack would be on the right shoulder button, and all lightsaber heroes would be able to block attacks by using the right stick button. The cards for lightsaber heroes include Force attacks. Each lightsaber hero would have two Force powers and a temporary buff within their loadout, with the cards allowing those abilities to be swapped to more powerful and hero-specific ones. As for vehicles and starfighters, the three default loadout slots would all include active buffs. These buffs would be changeable through the cards, with more powerful but temporary buffs able to be equipped. Each vehicle and starfighter has two weapons available to use. A main weapon on the right trigger that fires quickly and recharges quickly, and a slower, more powerful weapon on the right shoulder button that takes longer to recharge after just a few shots. After units comes getting into matches, and the first thing is deployment. And here’s the major addition – command posts. To all modes. You’d select which command post you wanted to spawn at which would then bring up the unit selection screen. The four basic units would be available at all CPs, with the special units being CP specific. Units will appear in the menu based on how many of that unit a command post holds. While more than one hero can appear on a CP, only one can be active from it. Battle points are gone, so anyone can grab any special unit at any time. Heroes are locked behind a timer to begin with, so they won’t instantly be able to wreak havoc at the start of a match. The image above shows a concept of the spawn screen, where the map is visible showing the active command posts. The one in green is the one currently selected. Beneath the map are the units available – with special units represented as dots. Each colour is a different unit, with the heroes represented by the same colour. And the right shows the image of the currently selected unit. There should also be a shake-up in the way players get into modes. Server lists would be the most preferable, but they’d only be one part of it. Giving players the choice of maps, rules, modes – even individual units available for use – would all fit within the custom playlists option. Each mode would still have its own playlist selectable from the online tab, with the events option allowing DICE themselves to get in on the custom playlists without disrupting the mode playlists. With those ideas for the gameplay systems, the ideas now turn to modes. This will be a larger post, talking about the return of Galactic Assault, Heroes vs Villains, and bringing in conquest. There’ll also be a mode of my invention called Planetary Warfare, which is going to be two different sizes of the same concept. That post will be coming after Celebration.